Zanu PF is overwhelmed with calls and letters from members expelled by the G40 cabal as they express their willingness to rejoin the party following the ushering of the new leadership led by Cde Emmerson Mnangagwa. 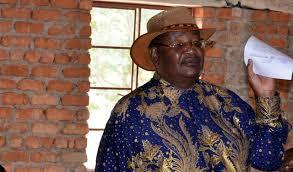 Zanu PF Secretary for Administration Dr Obert Mpofu said the doors are wide open for all members who wish to come back and join the party under the new dispensation. While several Zanu PF senior members and others who were fired after the 2014 congress were quick to reclaim their position, Dr Mpofu said his office is overwhelmed by calls to rejoin the party from senior members who were expelled by the G40 cabal. Temba Mliswa is one such senior expelled member who has already indicated his interest in rejoining the party. The Zanu PF made a resolution at its last Central Committee in Harare to welcome the rejoining of all members who were expelled by the G40 cabal at the 2014 congress.